Fertilising, sowing, and plant protection are essential tasks in agriculture. For 125 years, Amazone has been developing tools that are particularly made for these applications and include trailed spreaders used for plant protection. The top model is the crop sprayer 5200 of the UX series; with operating widths of up to 40 metres, this model is capable of spraying large areas without interruption thanks to its capacity of more than 5,000 litres. 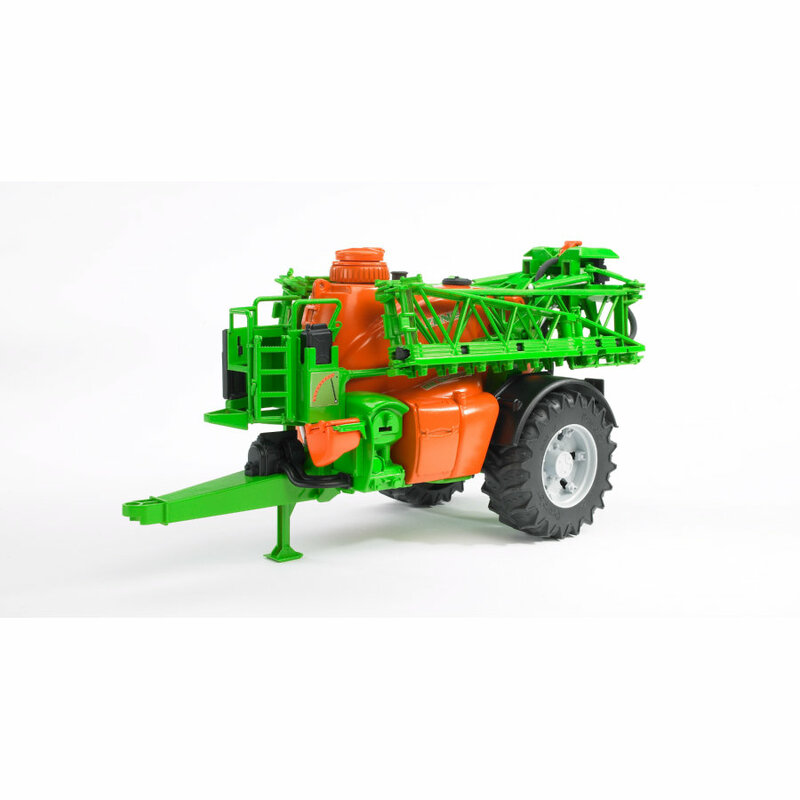 As the leading manufacturer of model agricultural vehicles, BRUDER has designed a trailed sprayer on a scale of approx. 1:16 and underscores its exceptional market position by the many realistic characteristics integrated into this model. Just like its real-world brother, the BRUDER crop sprayer has, as its most prominent characteristic, a fully functional spreader unit with fillable water tank whose sophisticated pump and hose system easily spreads the water across the "fields of our little farmers." Thanks to the outrigger width of approx. 1 metre, it is also possible to work on larger outside play areas "in an efficient way." Other realistic details include a fold-down support leg, an unfolding step ladder, and a height-adjustable outrigger that make playing with this crop sprayer even more fun and this toy truly unique.